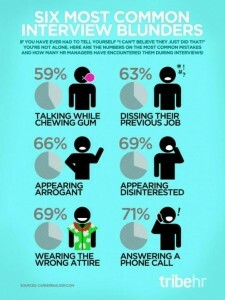 We’ve all waded through great lists – 24 Excellent Things to Do in an Interview kind of thing. All very worthy and very useful. But I’m aware some of you are not great readers and get bored easily or simply don’t have time right now. 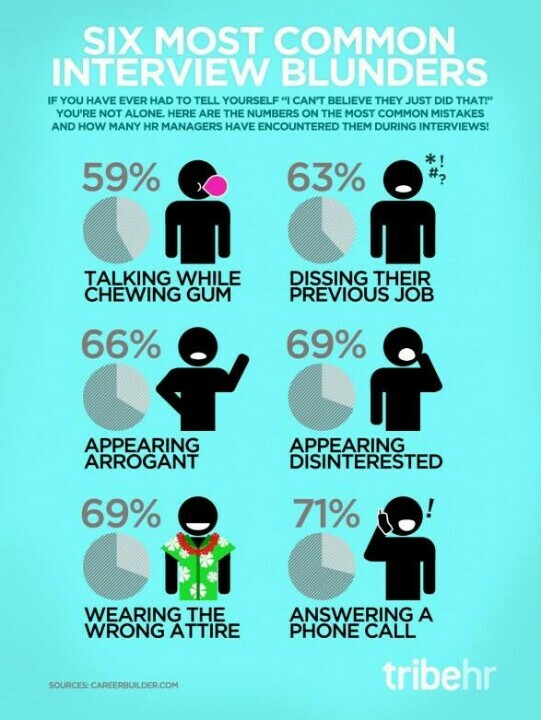 So let’s cut to the chase… if you manage NOT to do these in an interview, you’re ahead of 50% of the pack at least! Many thanks to Tribal HR for graphic.